Singers in the Mt. 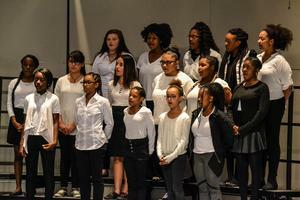 Healthy Jr/Sr High School Choir entertained a packed auditorium for their annual Winter Concert. 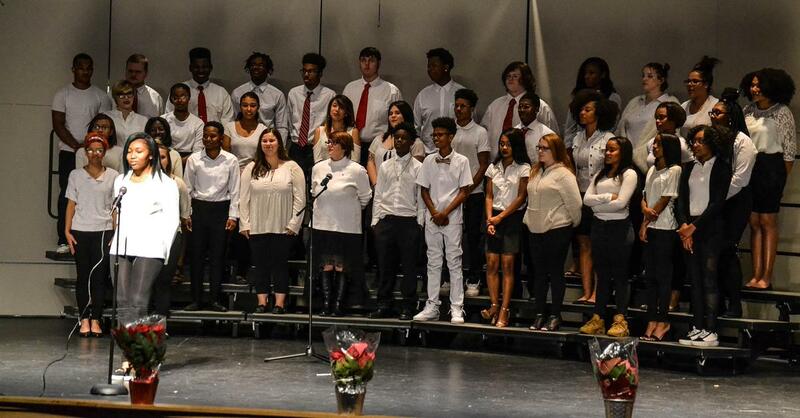 Led by Choir Director, Everett Moore, students performed over 20 songs while several of the songs were holiday related, most of them were contemporary music. Seventh and eighth grade choirs sang “Gaudeamus Hodie” by Natalie Sleeth, and eighth grade and ninth grade Owlettes sang “If I Fell” by Paul McCartney and John Lennon. The Owlettes and the Performing Ensemble Choirs combined for “Christmastime Is Here” by Vince Guaraldi. Mt. Healthy alumni continued a long standing tradition by coming to the stage and joining the choirs to sing “Ding Dong Merrily on High” and “Carol of the Bells” by Peter Wilhousky. 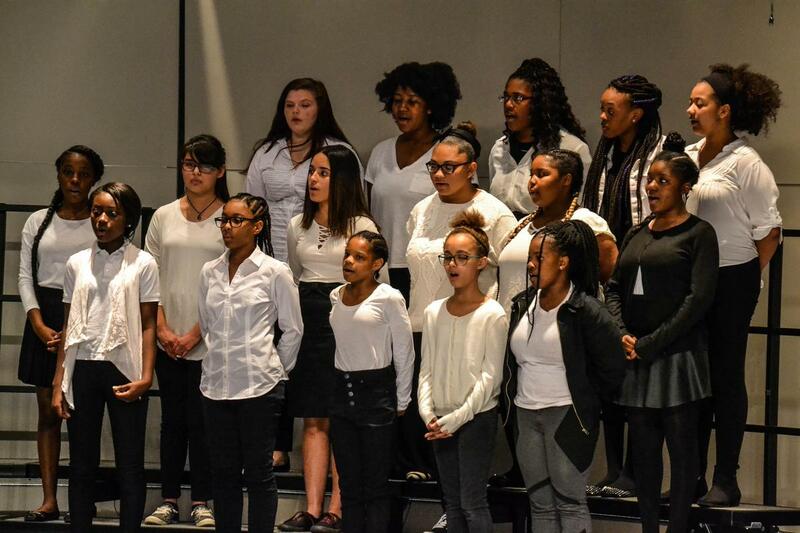 Solo parts within the songs were performed by Alicia Daniel, Alexis Ervin and Tanaysia Bullock. Deborah Carter performed a solo in “Sing” by J Raposo; Stephen Lambert sang solo in “Where is Love” along with Alexis Ervin, Jalia Monroe, Tanaysia Bullock, and Gamylah Anderson’s who performed in “Reviewing the Situation” both songs are from the musical Oliver. Kamiah Jones performed a stunning solo of the Whitney Houston classic “Count On Me”. From the Performing Ensemble, Paige Tucker beautifully sang the solo in “The Way We Were” and Estyanna Jordan delighted everyone with her solo in “Lord, Give Me Strength” written by our very own Everett Moore. 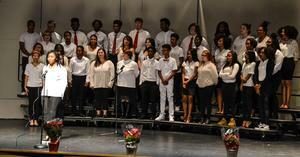 Additionally, Mr. Moore recognized the twelve 2019 Seniors and presented them with bright red poinsettia flowers.